Replicas of the Nina, Pinta, and the Santa Maria. Benjamin Andrews, 1893. After the World's Columbian Exposition closed in October 1893 , the replicas of the Christopher Columbus ships Nina, Pinta, and Santa Maria were moved to Jackson Park Lagoon. Is Columbus still sailing them? The World’s Columbian Exposition opened in Chicago, Illinois, in May 1893 after Chicago beat out New York, St. Louis, and San Francisco for the honor of hosting the fair. The Exposition officially closed in October 1893, but it has left a lasting fingerprint on history with buildings, social customs, legacies, and- ghosts? According to the Chicago Chronicle, on a clear morning in early August of 1900, just after dawn, a cyclist sped along the path around the south lagoon in Jackson Park in Chicago. Just as he reached the Santa Maria, which lay tilted to the north yards away from her sister ships the Nina and the Pinta, he spotted a shaggy head covered with mats of snarly hair rising slowly above the gunwales close to the Santa Maria’s prow. The cyclist immediately stopped peddling and watched the rugged body that was attached to the head materialize. The ghost wore a tattered coat clinging closely to his shoulders and the early morning breeze caught the pieces of the coat and waved them like flags as the ghost slowly seized the rotted stays still clinging to the mast and pulled himself up. Then, the ghost shaded his eyes with his hand and scanned Lake Michigan as if he were searching for some distant land or an approaching sail. claimed that they saw the mysterious mariner at different times on the decks of the Nina and Pinta as well as the Santa Maria. Everyone who saw the mariner reported that they saw him scan the lake far and wide, and when he felt them looking at him he would disappear into the hold of the ship. Is the Mysterious Mariner the Ghost of Christopher Columbus? All of the people who saw the ghostly mariner saw him only on clear mornings, just after dawn. Many people believed that a harmless recluse was living on the three ships which had been in the lagoon since the end of the World’s Columbian Exposition in October 1893. The Jackson Park policeman insisted that no one could be living on the ships because every night policemen visited the boats to make sure that one stayed on board. The World’s Columbian Exposition which celebrated the 400th anniversary of Christopher Columbus landing in America, actually took place in 1893, a year later than its founders had planned. The Exposition’s founders included Chicago shoe tycoon Charles Schwab, and Chicago Railroad magnate John Whitfield Bunn and many other industrialists and financiers across the United States. Dedication ceremonies were held on October 21, 1892 to adhere to the 400th anniversary of the arrival of Columbus in the New World commemoration, but the World’s Columbian Exposition didn’t open to the public until May 1, 1893. The World’s Columbian Exposition was situated on 630 acres of land that included Jackson Park and its lagoons, the South Shore, Jackson Park Highlands, Hyde Park and Woodlawn. The Exposition featured nearly 200 new buildings crafted in the classical architectural style, canals, and lagoons. Frederick Law Olmsted created the layout of the grounds and Daniel Burnham directed the architecture of the buildings. People from forty-six nations participated in the Exposition, constructing exhibits and pavilions. The Exposition attracted nearly 26 million visitors during its six month run and it far outshone other world fairs, becoming the symbol of American pride, unity, emerging empire and industrial optimism. Patrick Prendergast Assassinated Chicago’s Popular Mayor Carter Harrison, Sr.
On October 9, 1893, more than 716,881 people attended Chicago Day, commemorating the anniversary of the Great Chicago Fire of 1871 and symbolizing Chicago’s rising from its ashes. The exposition closed on October 30, 1893, with the Exposition goers and the entire country in shock. Patrick Eugene Prendergast, a disappointed office seeker, assassinated Carter Harrison, Sr., Chicago’s popular mayor and Exposition directors cancelled closing ceremonies for a public memorial service. When the World’s Columbian Exposition ended, the organizers returned Jackson Park to its public park status in much better shape than its original swampy state. The Exposition organizers reshaped the lagoon to a more natural appearance, but retained the straight line northern end which still laps against the steps on the south side of the Museum of Science & Industry building. During the World's Columbian Exposition, the replicas of the Nina, the Pinta, and the Santa Maria were moored in the south lagoon of Jackson Park and crowds of people visited each ship. Two years earlier in 1891, William Curtis, an official with the U.S. State Department in Spain, had proposed the idea of building replicas of the Nina, the Pinta, and the Santa Maria to Queen Maria Christina of Spain. The Queen endorsed the idea and established a commission in Spain to build the ships and sail them to Chicago as a commemoration of the 400th anniversary of the arrival of Columbus in America. Building the Santa Maria went smoothly, but the construction on the Nina and the Pinta which Americans in Spain were building, went more slowly. Instead of building new ships, the builders used the hulls of two rotting ships for the replicas of the Nina and Pinta. Initially, Congress refused to appropriate the money for the ships and by the time Congress finally passed legislation to finance the construction, it was hopelessly behind schedule. The Santa Maria was finished and sea worthy by July 1892, but officials ruled that the Nina and the Pinta were not sea worthy. 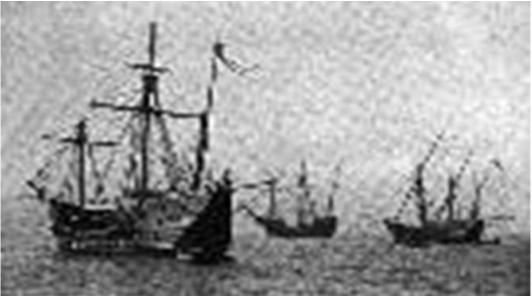 The Santa Maria sailed for Puerto Rico under its own steam, while two United States Navy ships towed the Nina and Pinta from Spain. All three of the replica ships were towed through the St. Lawrence River and the Great Lakes to the World's Columbian Exposition in Chicago where they drew large crowds. After the World's Columbian Exposition, the three replica ships remained in the south lagoon of Jackson Park. In 1901, they were turned over to the City of Chicago. Tourists still came to see and tour them, but the city of Chicago didn't maintain them. By 1913, the three ships had deteriorated significantly, but the city of Chicago decided to use them in the ceremonies for the opening of the Panama Canal. They planned to sail the ships from Chicago to the new Panama Canal and then on to San Francisco. The three ships ran into rough seas on Lake Michigan near Milwaukee, and the Pinta and the Nina nearly sank. The Nina and the Pinta managed to reach the shores of Lake Erie, where they had to be beached and eventually towed back to the Chicago docks. 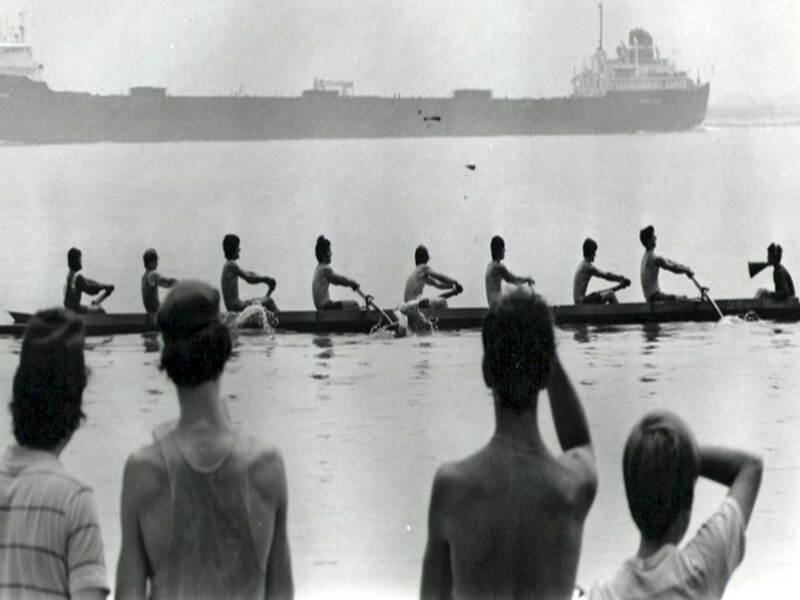 The Santa Maria struggled on to Boston, where a crew from Harvard University took over operating her. Backers had scheduled the Santa Maria to stop at ports along the East Coast, gambling that curious sightseers would tour the ship in droves. Almost no one showed up. In 1917, the Santa Maria finally headed back to Chicago, but Canadian authorities impounded it because its owners couldn’t pay wharf charges. In 1918, the fees were settled and the Santa Maria returned to Chicago. The Nina, the Pinta, and the Santa Maria weren’t reunited for long. The Pinta sank at its moorings and in 1919, the Nina caught fire and sank. In 1920, the Santa Maria was rebuilt and drew tourists until 1951, when it, too, burned. On a clear October morning just after the dawn of the Twenty First Century, a cyclist sped along the path of the south lagoon in Jackson Park. Just as he reached the Santa Maria, he spotted a shaggy head covered with mats of snarly hair rising slowly above the gunwales close to the Santa Maria’s prow. The ghost shaded his eyes with his hand and scanned the lagoon, searching for some distant land or an approaching sail.